Rajasthan Government is still hopeful that 7 proposed medical colleges in the state will become operational July 2018. The seven medical colleges are proposed in Bhilwara, Bharatpur, Churu, Pali, Dungarpur, Barmer and Sikar. However, the medical council of India (MCI) inspected these proposed medical colleges and found shortcomings such as shortage of faculties, staff, infrastructure and equipment. As a result, MCI had recommended to the centre to not give permission for the establishment of seven proposed medical colleges. Now, medical education department officials are busy in taking measures to fill the gaps and apply for another inspection of MCI for final call. 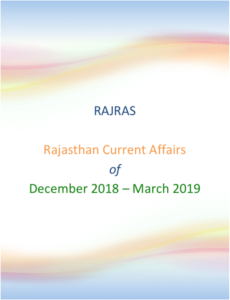 The state cabinet in a major decision proposed to exclude buffaloes and its progenies from the definition of Rajasthan Bovine Animal (Prohibition of Slaughter and Regulation of Temporary Migration or Export) Act, 1995. As per Minister, the relaxation was made in tune with the central law which also makes a distinction between cow and buffaloes and excludes it from the list of bovine. The state government has given its nod to constitute Mukundra Hills Tiger Reserve (MHTR) foundation ahead of shifting tigers by March. Now, under Section 38 X of the Wildlife (Protection) Act 1972, the department will constitute foundation for MHTR with the general objectives to facilitate and support the management for conservation of tigers and biodiversity and to take initiatives in eco-development by involvement of people in such development process. The tiger foundation will also open the door for MHTR authorities to raise funds through its own resources. “The foundation would be a registered body under the Society Registration Act, 1860 and is authorized to accept assistance from individuals and companies for the purpose of fulfilling its objectives. The Supreme Court on Friday extended the sand mining ban in the state till March 13 and issued notice to the state government and the Union ministry of forest and environment (MoEF) for its move to mine sand from agricultural land. The state water resources minister Dr Rampratap told the Vidhan Sabha that Yamuna water would be brought to Rajasthan. The water will be brought to Churu district via pipeline from Ghaziabad in Uttar Pradesh and would be utilized for drinking and irrigation needs of districts, including Churu, Jhunjhunu and Sikar. This would be a separate project in addition to Eastern Rajasthan Canal Project – ERCP. State education department’s eGyan portal developed over the last six months have chapters or contents in high definition audio-visual animated form for Anganwadi children to Class VIII (all subjects) and from IX to XII (limited subjects). 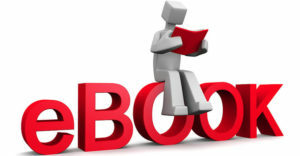 The portal has content in four categories—video, textbook, for teachers and importance of education. It also allows students to practice chapters and self-assessment. Meanwhile, state is also coming up with a digital library by providing access to the digital books, journals etc to the common man. The decision to give 300 schools on public private partnership (PPP) mode has been put on hold and a three-member ministerial committee has been constituted to study the petitions and complaints against public private partnership model. The committee includes, home minister Gulab Chand Kataria, parliamentary affairs minister Rajendra Rathore and State Education minister Vasudev Devnani. India and Russia celebrated 70 years of bilateral relations in the field of agriculture at Suratgarh in Rajasthan. The old agriculture machinery donated by the then USSR has been placed in a museum inaugurated jointly by both the ministers of the two counties. The NITI Aayog has picked up four districts from Rajasthan—Jaisalmer, Karauli, Sirohi and Baran—for the inspirational districts programme. The districts were chosen due to poor performance in health, nutrition, agriculture and education sectors. NITI Aayog in association with the state government, will carry out remedial measures to improve these parameters in the selected districts. Pushpendra Singh, minister of state for energy, launched the smart transmission operation management system through web in the state. Through this system, functions of scheduling of generation and demand, deviation settlement, energy accounting and billing, approval of open access, etc., are automated through web-based services. Recently, Raj Prashasti was in NEWS for lack of care that it is getting. What is Raj Prashasti ? 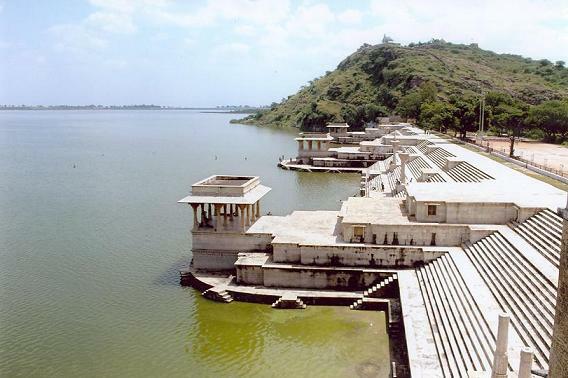 Raj Prashasti is the largest and longest stone etchings in India, on the embankment of the lake, Raj Samand. It is one of the most authentic and dated histories of the Mewar royals and ‘Guhil Rajvansh’. On 25 marble slabs are inscribed in 24 chapters-1,106 Sanskrit shlokas narrating the minutest details of rulers from the 7th to 17th century. Each marble slab is 3feet long and 2.5 feet wide. Every slab carries chronological narration of important events, victories and sufferings. It also contains physiological details, rivers, flora-fauna of Mewar. Maharana Raj Singh got it made to commemorate the construction of Rajsamand Lake, however, Maharana Jai Singh got the Raj Prashasti installed. The inscription was written by king Ranchhod Bhatt, a Telengana Brahmin from Karnataka who prefixed ‘TelanganadhiPati’ title before his name. Besides Mewar, the inscriptions also have details of royals of Jaipur, Bikaner, Bandhavgarh and Sironj (Madhya Pradesh), Brajbhoomi and Sauronji (Uttar Pradesh), Pratapgarh, Banswara and Dungarpur. Rajasthan’s Principal Secretary of IT and Communications shared the framework through which it will provide loans and equity funding from its Startup Fund of Rs 500 crore to further boost for startups based in Rajasthan. Of the Rs 500 crore overall fund, Rs 100 crore is set aside for “Women Startups” and Rs 50 crore for “Green Startups”. The Rs 50 crore for Green Startups will be payable from funds available with Rajasthan state pollution control board. The Fund will provide both loan and equity to startups that are registered in Rajasthan based on recommendations of the Committee set up for this purpose. The Principal Secretary of lT and Communication will be the sanctioning authority for grant of loan or equity, based on the recommendation of the Committee. There is a funding cap of Rs 25 lakh per startup. The amount will be based on the ranking of the startup on the state’s portal, istart.rajasthan.gov.in. In case of equity funding, the maximum period of funding will be seven years with a lock-in of three years from the Government. Startups will have the share buyback option from the time of receiving funding. In case of loan, the maximum period will be three years, with no lock-in period. Startups can repay the security-free loan at anytime in this period without any additional charges. The interest rate is set at five percent with reducing balance. The government will also provide Seed Funding of up to Rs 2 lakh as loan, with the same requirements as the regular loan. Through a referendum, the villagers voted to shut a decade-old liquor shop in Foga in Churu District. With this, Foga joins the league of three other villages—Kachhbali, Rojda and Mandawar—which have already been declared as liquor free villages over the past two years. Jaipur will have the state’s first Divyangjan University. The place has been decided in Jamdauli. Draft has been prepared, this University will open the courses for making independence of the students of the Divisions. State’s first Biogas CNG Plant will begin in Bhilwara from March 17. The plant has been developed by Barani Agricultural Research Center of Bhilwara and has been installed at आरजिया center. Gandhi Nagar in Jaipur becomes Rajasthan’s first and India’s second all-woman managed railway station. An international educational institution for minorities will be built in Alwar as part of the Centre’s ambitious plan to set up five such institutes across the country. For setting up a world-class educational institution for minorities, 100 acres of land has been allotted for an institute in Alwar, Rajasthan. The government is mulling to proffer 40 per cent reservation for girls at these institutes. Rajasthan’s first rowing academy to be set up in Kota.